236 p., 2 ill., 14,7 x 20,8 cm. Ausgewählte Schriften zu psychoanalytischen Themen 1976 bis 2008. 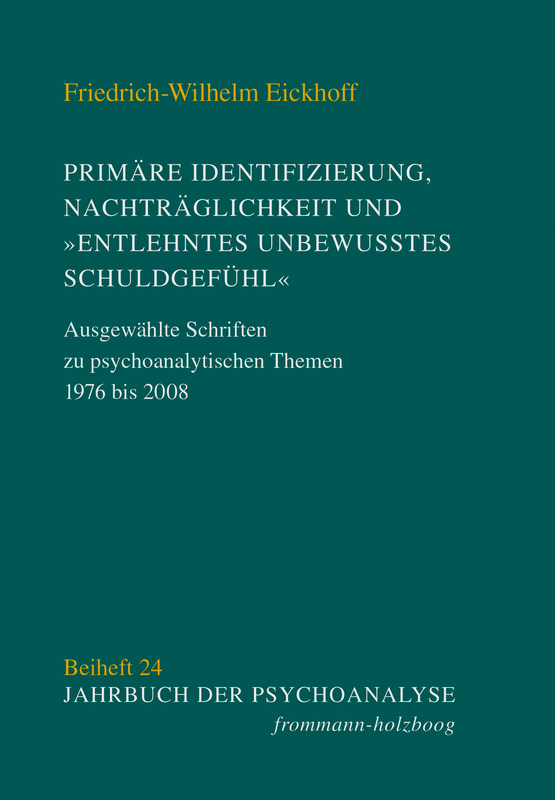 The focus of this supplement of the Jahrbuch der Psychoanalyse, the author of which is the co-editor of many years, is formed by articles from several decades which show that the unfinished in-depth study of Sigmund Freud´s work provides unexpected insights. His temporarily neglected concept of Nachträglichkeit allows a move towards the interpretation of individual and transgenerational processes. Repression and denial as central psychoanalytic terms, transference love, changes in the concept of neutrality and the assessment of curative factors, moral masochism and primary identification are represented from a current perspective. Wilfred R. Bion´s »emotional turbulence« proves to be the key to understanding both a clinical vignette and a literary text. Annotations on Wolfgang Loch´s constructivism and the time of founding the department of psychoanalysis at the University have a special reference to Tübingen. Finally Kurt R. Eissler is introduced with an inspired commentary on Sigmund Freud´s historical confrontation with Julius Wagner Ritter von Jauregg.